SAP SE announced the launch of APJ’s first SAP Leonardo Center in Bangalore, India. The fourth SAP Leonardo Center globally, the facility is a go-to place for SAP’s ecosystem for digital inspiration and co-innovation. The center is located in the new 5.15 lakh square feet facility of SAP Labs India Bengaluru campus which was inaugurated earlier this year. SAP Leonardo Centers are a global network of connected, physical locations that are the go-to places for digital inspiration and co-innovation, while also being the delivery mechanism of SAP Leonardo Services. The state-of-the-art-facility in Bangalore will showcase key elements of digital transformation like IoT, Blockchain, Analytics, Machine Learning, Big Data, Data Intelligence and SAP Cloud Platform. The center will offer businesses access to SAP’s deep industry knowledge and leading technology capabilities across 25 industries, applied in a live technology delivery environment. It will also enable businesses to experience innovation through customized visits, design-thinking and co-innovation workshops and sessions. Other SAP Leonardo Centers locations include New York, U.S., Paris, France, and São Leopoldo, Brazil. 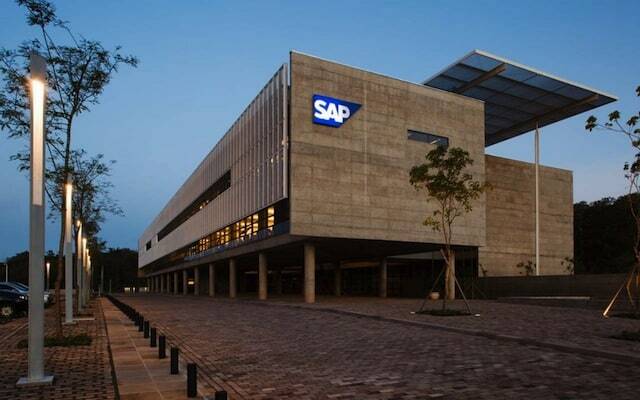 “As SAP’s largest Research and Development Center outside its headquarters in Germany and a part of a connected lab network of 20 labs in 17 countries, the launch of SAP Leonardo Center at SAP Labs Bangalore campus was a natural choice. SAP Labs India is an innovation center making significant contributions to SAP’s flagship products. It combines a high concentration of customers and partners with one of SAP’s largest market units”, said Dilipkumar Khandelwal, president, SAP HANA Enterprise Cloud and managing director, SAP Labs India. SAP Launches Leonardo Center in Bangalore 0 out of 5 based on 0 ratings. 0 user reviews.